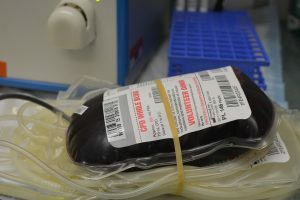 This month in a trial over the dangers of the blood-thinning drug Xarelto, the plaintiff’s team has made allegations of possible witness-tampering involving a treating doctor and a sales representative for Janssen Pharmaceuticals, the company that markets and sells Xarelto. Lynn Hartman’s trial against the makers of Xarelto began on November 6, 2017. Ms. Hartman has alleged she suffered severe gastrointestinal bleeding after taking Xarelto. She was prescribed the drug to treat atrial fibrillation, a condition which causes the heart to beat rapidly and irregularly. After taking Xarelto she suffered internal bleeding and had to be hospitalized. When Ms. Hartman stopped taking Xarelto, she had no further internal bleeding. Ms. Hartman brought several claims against Janssen, Bayer, and Johnson & Johnson, including that the defendants failed to warn patients and doctors adequately about the risks for internal bleeding. Ms. Hartman’s trial, which should wrap up in the next week or two, is the first to go to trial of more than 1,500 Xarelto cases filed in Pennsylvania state court. You can read more about this trial here, and you can read more about Xarelto and the Xarelto litigation here. Just days into Ms. Hartman’s trial, the plaintiffs’ team notified the judge that defendants had just recently disclosed that a Janssen sales representative had visited Ms. Hartman’s treating physician, Dr. James Aldridge, just weeks before Dr. Aldridge had his deposition taken by defendants. A deposition is recorded testimony in which a lawyer asks questions of a witness under oath. Dr. Aldridge testified in his deposition that he could not say whether Xarelto was a cause of Ms. Hartman’s internal bleeding. This testimony contradicted Dr. Aldridge’s notes in the medical records. March 2017. Janssen sales representative visits Dr. Aldridge. Janssen and J&J did not disclose this visit until a few weeks before the trial began in November 2017. April 2017. The deposition of Dr. James Aldridge is taken. In this deposition Aldridge reportedly testifies that he could not say whether Xarelto contributed to Ms. Hartman’s internal bleeding. October 2017. For the first time, Defendants disclose that the Janssen sales rep visited Dr. Aldridge before his deposition was taken. I have found no reason why Defendants waited so long to disclose this information. November 6, 2017. Ms. Hartman’s Xarelto trial begins in Philadelphia. 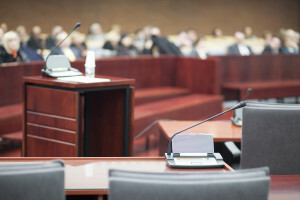 The plaintiff’s team notifies the judge of the sales rep’s visit to Aldridge and requests to take the sales rep’s deposition in the middle of trial. November 8, 2017. Judge Michael Erdos, presiding over the trial, grants plaintiff’s request to conduct the deposition. The deposition is taken later that week. November 15, 2017. Judge Erdos refuses to allow the deposition testimony of the sales rep to be presented to the jury. The judge does not see sufficient evidence that the sales rep attempted to influence the testimony of Dr. Aldridge. However, the judge states that he will listen to Dr. Aldridge’s trial testimony carefully and may allow the sales rep’s testimony to be played for the jury if he finds evidence of discussion of Dr. Aldridge’s testimony prior to the taking of the deposition. An allegation of witness-tampering does not equal witness-tampering. This story may be smoke and no fire. 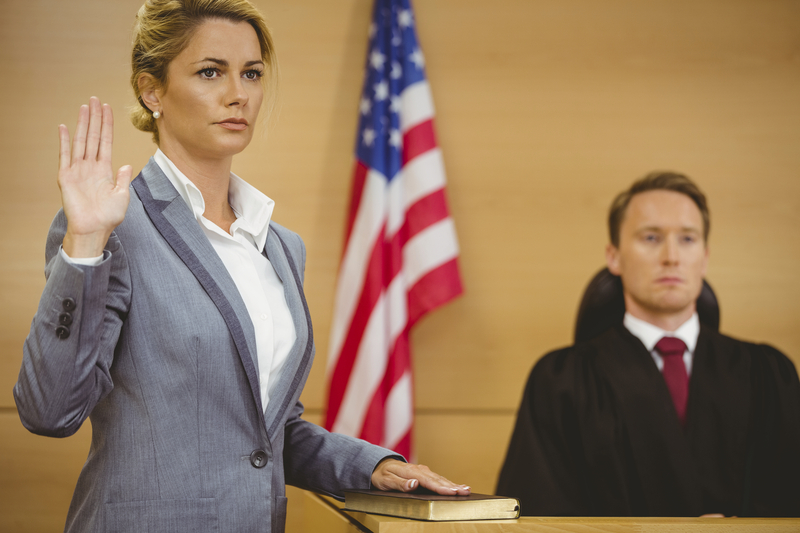 So far, the only thing that can be said is that defendants were too slow in disclosing the visit between the sales rep and testifying treating physician, which naturally sent up a red flag. When Dr. Aldridge testifies next week, the judge will be listening carefully for evidence that the sales rep discussed the doctor’s testimony prior to the taking of his deposition in April 2017. I will keep you posted on this testimony, and I will let you know how the Xarelto trial turns out. If you have taken Xarelto and suffered internal bleeding, give me a call to discuss further.